Me versus my Dad: When Is Good Enough…..Good Enough? The picture is of my driveway a couple weeks ago. I cleared off a layer of snow from my driveway as best I could. 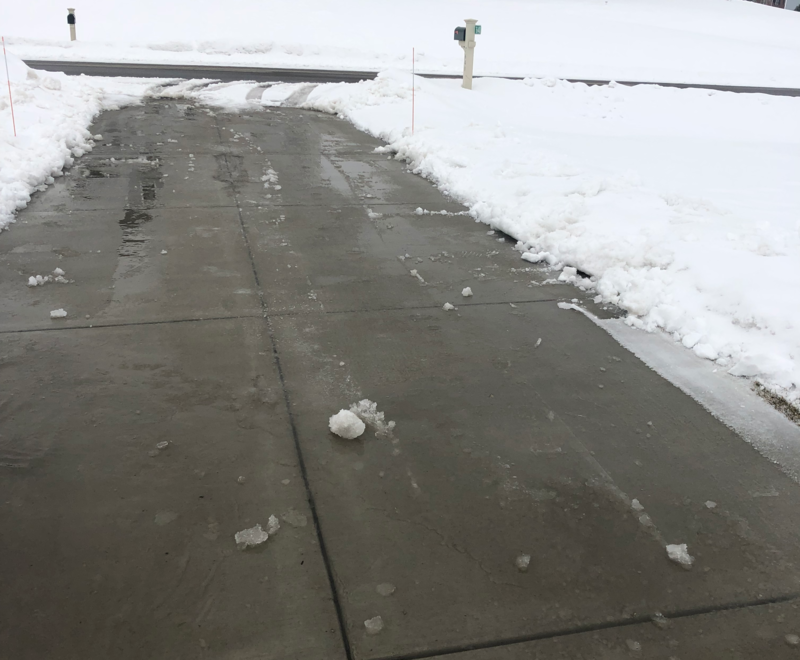 I removed the layer of ice (with some effort) in the areas that anyone would park their cars and walk, including the walkway to the front porch. I attempted to work on some of the ice at the end of the driveway but it was quite stubborn and determined it would take a fairly significant amount of time to complete. Knowing that the snow and ice would be gone by the end of the following week due to the improving temperatures, I decided this was good enough. My Dad is the hardest working person I know. Undoubtedly he’s also a better man than I. I can give countless other examples of when he went that extra mile and then another mile on top of that to get something to "perfect" completion. When is clearing your driveway all the way nothing more than a waste of time? What if I told you that I spent the time playing with my kids? When is good enough just fine, and when it is just simply more efficient?